Hoping the holiday is festive and safe for you, and you and yours are looking forward to a fabulous and joyful new year! We couldn't be more excited about the deliveries that continue to come in. Seriously, who gets to go to work and have dress after beautiful dress delivered??? This is way too fun!!! 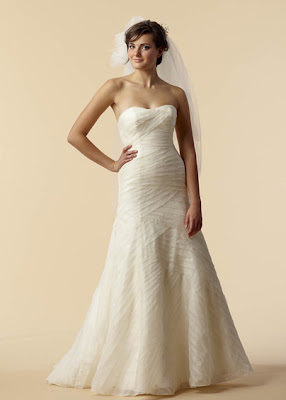 And this lovely bridal gown - bias cut of organza with the softest dipped neckline...soooo pretty in person! !